This Valentine’s Day everyone can be a winner! All you have to do is shop to play. 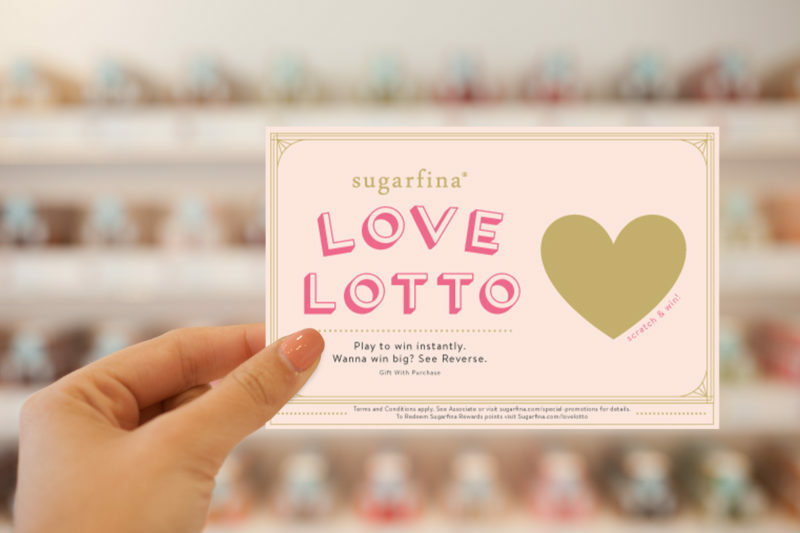 Any purchase over $25 is eligible to receive Sugarfina Love Lotto scratch-off tickets. Scratch off the gold heart to reveal your prize and win Valentine’s Day with Sugarfina. Feeling extra lucky? Enter to win the Sugar Beach Sweepstakes on the back of any Love Lotto card.